When I first heard about Deliveroo a few months ago, I have to admit that I was pretty skeptical. Food delivery apps weren’t as popular as they are now, and let’s just say that Deliveroo’s predecessors didn’t exactly leave a good impression. I have to say though, Deliveroo has totally changed my perception of food delivery apps. It’s easy to navigate, they have a good selection of restaurant partners and the team has been consistently reliable in fulfilling orders on time. 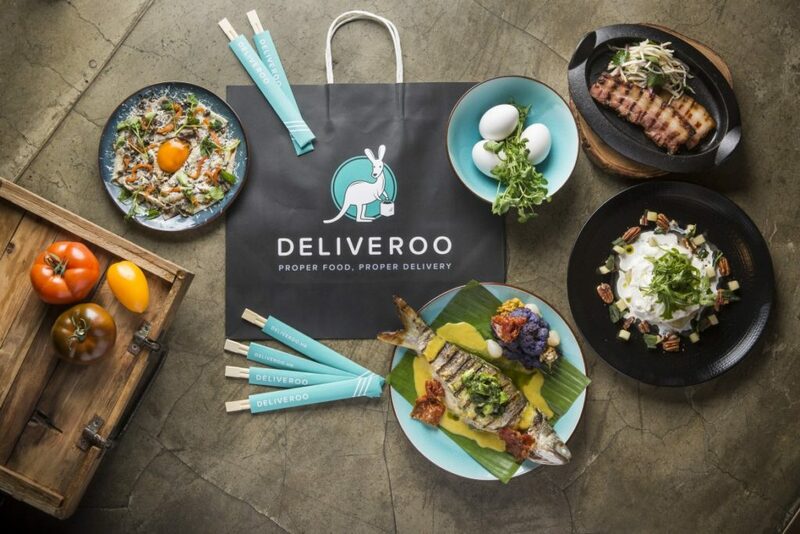 In short, Deliveroo is the bomb and yes, you should try it out. Restaurants available on the app include PS. Cafe, OverEasy, Cedele, Poulet and Saveur. Delivery charge: Flat fee of $3 for all orders. Delivery time: Average of 35 minutes or less. Variety of restaurants: Wide, but it depends on your location and the time you place an order. User experience: The app is easy to navigate and place an order on, but it only lists restaurants available at your location based on the time you check the app (rather than listing all of the restaurants in your area). Extra fees/Minimum order: Minimum order of $25 required, or $5 surcharge for orders below. There also seems to be a slight markup of $1 – $2 on most menu items. Referral credits: $10 each for you and any new users you refer to the app. 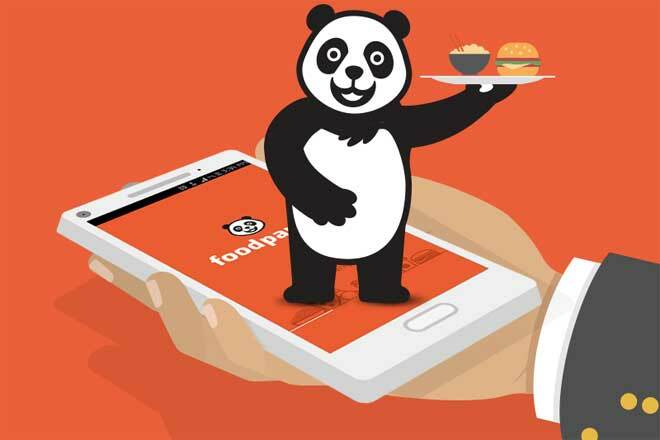 When Foodpanda first launched in Singapore a couple of years ago, they were pretty much the only food delivery service that serviced multiple food and beverage establishments in Singapore. The concept was new and somewhat intriguing – I mean, getting Old Chang Kee delivered to my doorstep? Where do I sign up?? However, Foodpanda didn’t quite start out on the right foot, with multiple complaints about late deliveries plaguing their brand…so back to McDelivery it was. It seems like they have been making efforts to shed that reputation in recent months though, with a noticeable surge in ads, additional perks and even free delivery. Word on the street is that Foodpanda is also planning to expand its services to hawker stalls, so who knows, you just might be able to get your favourite bowl of mee pok delivered to your doorstep soon. Restaurants available on the app include TCC, Nando’s, 4Fingers, Toast Box and Pezzo. Serviced areas: Pretty much all of Singapore (Enter your postcode here to check.). Foodpanda also services selected areas in Malaysia, which is something most of the other apps in this list don’t do yet. Variety of restaurants: Very wide, which is good if you are placing an order during off-peak hours, as there will probably be more options available. It’s also one of the few apps that has Halal options available. User experience: The app is easy to navigate, with clear information on the delivery time and charges. There is also a Deals tab where you can view current promotions from partner restaurants. Extra fees/Minimum order: Minimum charge of $15 required for all orders. There also seems to be a slight markup of $1 – $2 on most menu items. UberEATS is fairly new to the food delivery game, but they seem to be putting up a tough fight so far. 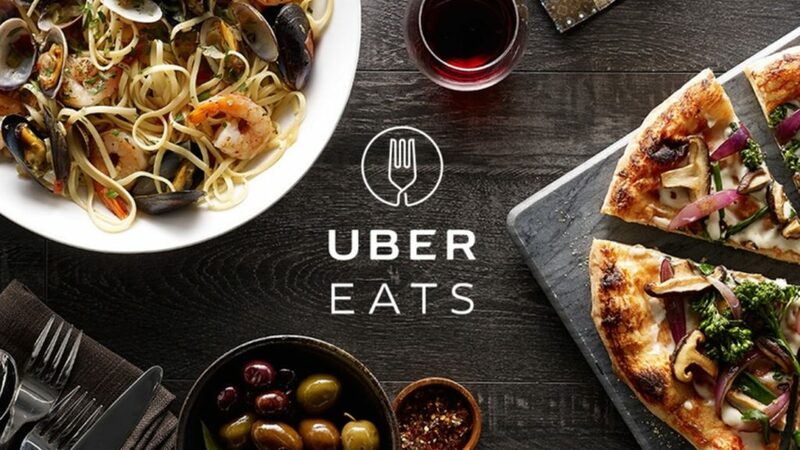 Limited delivery locations aside, UberEATS is pretty much on par with Deliveroo in terms of efficiency, reliability and the types of restaurants available through the app. UberEATS also has a generous referral programme, which gives users $20 in credit for each successful referral. Restaurants available on the app include Teppei Syokudo, Tanuki Raw, Saveur, Pantler and Vatos Urban Tacos. Delivery time: About 30 – 40 minutes or less. Variety of restaurants: Fairly wide if you are located within the Central Business District, but many of them aren’t available during non-peak hours. User experience: The ordering process is seamless and the app also saves your favourite/go-to restaurants for easy access. Extra fees/Minimum order: No minimum order, but there seems to be a markup of about 70 cents – $1 on most menu items. Referral credits: $20 each for you and any new users you refer to the app. 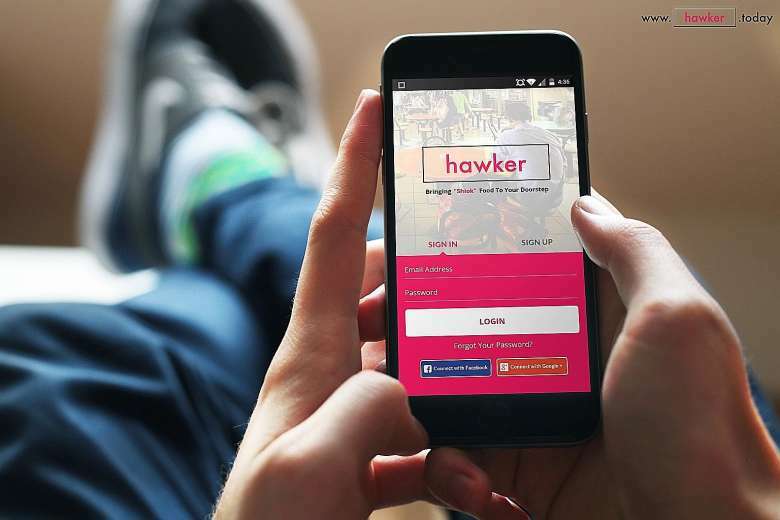 As its name may suggest, the Hawker app offers food delivery from hawker stalls all over Singapore. Sounds promising, right? Sadly, the app will probably need more work if it wants to stand up to the competition. Technical problems aside, the markup and additional fees you have to pay somehow negate the appeal of hawker food. After all, who wants to pay an extra $12 – $13 for a single bowl of $4 wanton mee? Hawker stalls available on the app include Famous Pontian Wanton Noodles, Tong Heng, Rochor Beancurd, Ponggol Nasi Lemak and Le Cafe Confectionery & Pastry. Delivery charge: Varies based on distance, but around $4.50 for the first 7km. Additional fee of $4 applies to longer distances. Delivery time: Average of 50 – 65 minutes. Serviced areas: Hard to say because the website has no information on this, but it seems to service most central areas. In any case, you can enter your postal code in the app to see if there are any available partner restaurants in your area. Variety of restaurants: Fairly wide, but many of them seem to be closed/unavailable even during peak hours. There are quite a few famous hawker stalls and old school confectionery/pastry stores available on the app though. User experience: The app still seems to be quite glitchy, but hopefully the team fixes this soon. There are also a few grammatical errors scattered throughout the app – which yes, isn’t crucial to the user experience or anything – but it doesn’t exactly inspire much confidence in the app you know? Extra fees/Minimum order: Minimum order of $12 required, or $3 surcharge for orders below. There is also a $4 service fee for all orders, and the markup on most menu items seems to be about $2 – $3. Referral credits: $5 each for you and any new users you refer to the app. LaborMe is actually quite an interesting concept for an app. 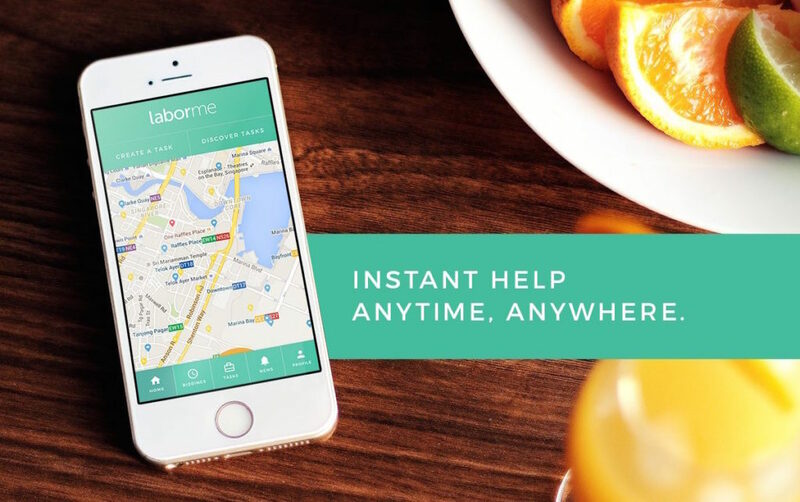 Unlike your usual food delivery apps, LaborMe doesn’t have a dedicated fleet of drivers to pick up and deliver your food. Instead, the app offers a two-way approach to food delivery – you can hire someone to pick up and deliver your food order, or you can do the delivering to earn some extra cash. How it works is that you can list a task on the app (i.e. buy a bowl of Pontian Wanton Mee and deliver it to your office) and enter a price that you’re willing to pay for the delivery fee. Other users can bid for the task, and you can select one based on the user’s reviews or offer price. Payment is made once the task has been completed. The app isn’t just limited to food delivery, as you can also list courier, valet or miscellaneous tasks. Unlike most other food delivery apps, you don’t have to pay a markup on food prices. The app is easy to navigate and use. There aren’t that many people using the app yet, so it’s quite challenging to get immediate bids for your task. LaborMe might be better off for people who want in-demand items that require queuing (i.e. Bake Cheese Tarts), rather than casual hawker fare. Some people on the app are kind of well, cheapskate. I mean, a measly $5 to queue 2 hours for Bake Cheese Tarts then deliver them to you in Hougang? Are you cray? LaborMe was awesome! Got my tarts without queueing!